Iris Bohnet, the Albert Pratt Professor of Business and Government, is the Academic Dean of Harvard Kennedy School. She is a behavioral economist, combining insights from economics and psychology to improve decision-making in organizations and society, often with a gender or cross-cultural perspective. 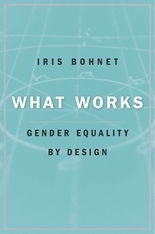 Her most recent research examines behavioral design to de-bias how we live, learn and work. 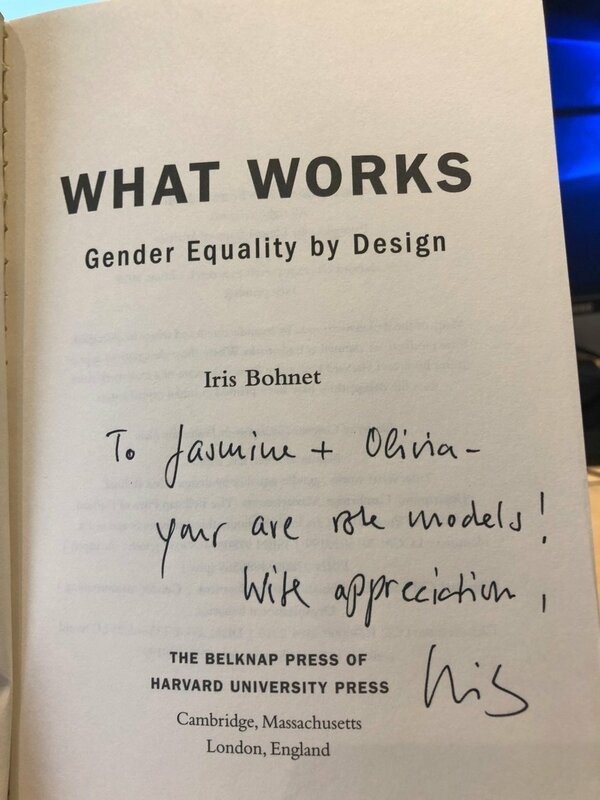 She is the author of the award-winning book What Works: Gender Equality by Design, (an example of a book talk can be viewed HERE) and advises governments and companies on the topic around the world. Professor Bohnet is the co-director of the Women and Public Policy Program and the faculty chair of the executive program “Global Leadership and Public Policy for the 21st Century” for the World Economic Forum’s Young Global Leaders. She serves on the boards, advisory boards or as a patron of Credit Suisse Group, Applied, Edge, genEquality, TaketheLeadWomen, We Shape Tech, Women in Banking and Finance, and the UK Government’s Equalities Office as well as numerous academic journals. She was named one of the Most Influential People in Gender Policy by apolitical in 2018, a Leading Thinker of Victoria, Australia, 2016-2019, and has received an honorary degree from the University of Lucerne, Switzerland, in 2016. She is married and the mother of two children. In labor markets, some individuals have, or believe to have, less data on the determinants of success than others, e.g., due to differential access to technology or role models. We provide experimental evidence on when and how informational differences translate into performance differences. In a laboratory tournament setting, we varied the degree to which individuals were informed about the effort-reward relationship, and whether their competitor received the same or a different amount of information. We find performance is adversely affected only by worse relative, but not absolute, informedness. This suggests that inequity aversion applies not only to outcomes but also to information that helps achieve them, and stresses the importance of inequality in initial information conditions for performance-dependent outcomes. Descriptive norms provide social information on others’ typical behaviors and have been shown to lead to prescriptive outcomes by “nudging” individuals towards norm compliance in numerous settings. This paper examines whether descriptive norms lead to prescriptive outcomes in the gender domain. We examine whether such social information can influence the gender distribution of candidates selected by employers in a hiring context. We conduct a series of laboratory experiments where ‘employers’ decide how many male and female ‘employees’ they want to hire for male- and female-typed tasks and examine whether employers are more likely to hire more of one gender when informed that others have done so as well. In this set-up descriptive norms do not have prescriptive effects. In fact, descriptive norms do not affect female employers’ hiring decisions at all and lead to norm reactance and backlash from male employers when informed that others have hired more women. This chapter shows how people in three culturally different contexts, Oman, the United States and Vietnam, deal with trust situations. We offer two trust-fostering mechanisms principals can choose from—a mitigation-based approach, decreasing the principal’s cost of betrayal, and a prevention-based approach, increasing the agent’s benefits of trustworthiness. We refer to the former as “insurance” and to the latter as “bonus.” We measure what choices principals make, how agents respond to them and how both parties’ behaviors compare to a situation where insurance or bonus was assigned by chance. We find some differences among the studied countries; but overall, our results show strong similarities. About two-thirds of our principals prefer the safety of the insurance mechanism. However, by insuring themselves, they make it less likely for their trust to be rewarded. The remaining one-third of our principals prefer sending a bonus, making themselves vulnerable to the agent. This vulnerability pays off by tripling the likelihood of trustworthiness compared to when insurance is chosen. Still, when a bonus is chosen, only about half of the agents reward trust. This fraction is not sufficient to make the principals whole. In terms of expected payoffs principals would be better off with insurance.